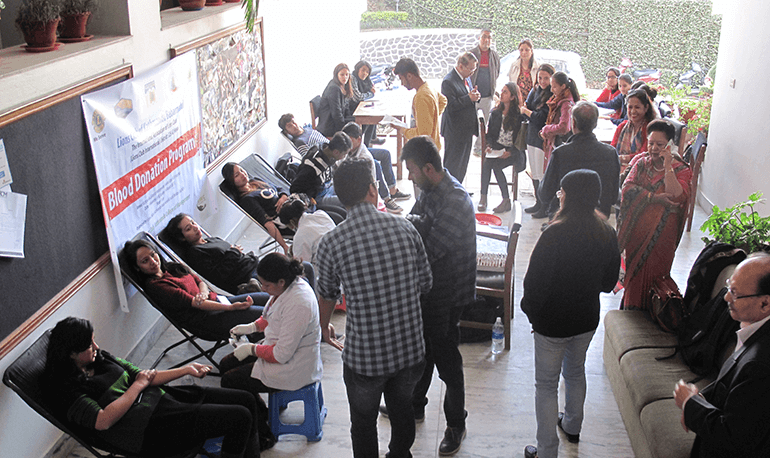 KCM Social Welfare Club in collaboration with Lions Club and Red Cross Society organized a Blood donation program at Kathmandu College of Management on 29th November, 2016. The club is driven to contribute towards the society with its voluntary services. ‘Every Drop Counts’ and when it comes to blood the statement makes much more sense. The program conducted each year by the Social Welfare Club was successful to involve more than 40 donor students this year which was highly appreciated by the members of Lions Club and Red Cross Society.